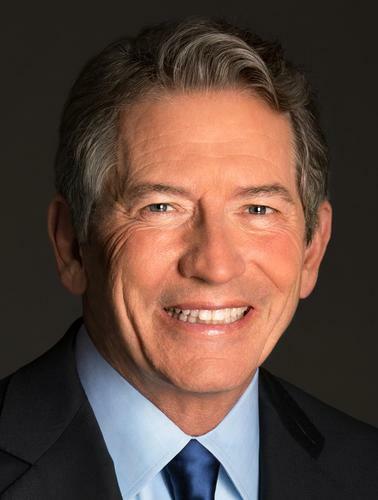 Software mogul Tom Siebel has created the Siebel Energy Institute, which will dole out US$10 million in grants over five years to fund research projects aimed at making the electrical grid more reliable, efficient and secure against attack. Power companies worldwide are expected to spend as much as $2 trillion dollars this decade to make the grid smarter, installing smart meters in homes and sensors on power lines and transmission cables. But the vast amounts of data they'll produce will only be useful if there are tools to analyze it, and that's where the Energy Institute comes in. It will fund projects to create new computer algorithms and machine learning techniques aimed at improving the electrical infrastructure. The first 24 grants, in amounts of $25,000 and $50,000, were awarded Tuesday to teams at a dozen computer science and engineering universities in the U.S., Japan, France and Italy. "There's an enormous opportunity to create self-learning algorithms that get smarter as they go," Siebel said during a lunch at a hotel in San Francisco Tuesday to award the initial grants. One project, from Carnegie Mellon University, will use drones as part of an effort to predict power failures and restore service more quickly after outages. The team will use machine learning to identify parts of the grid that are most susceptible to failure, then deploy drones to physically inspect those areas, sending back images of power lines. If a drone has to fly long distances, it will recharge itself by attaching to a transmission line using "on vehicle current transformers," the researchers said. Another project, from the University of California at Berkeley, will develop a low-cost, crowd-sourcing model to detect power outages and restorations on the grid, by monitoring the charging state of smartphones plugged into wall outlets. But most of the projects are software focused, developing algorithms to analyze what Siebel called the "petascale data sets" generated by sensors on the grid, which form the "Internet of energy." The institute has a leveraged funding model, meaning the grants are a starting point for researchers to get more funding. They'll use the money to create proposals which they can then take to organizations with deeper pockets, like the U.S. Department of Energy, to apply for more money. "We expect this to produce hundreds of millions of dollars in funded research," Siebel said. He made his fortune from Siebel Systems, a provider of customer relationship management software that was bought by Oracle 10 years ago for almost $6 billion. His family foundation, the Thomas and Stacey Siebel Foundation, has funded areas as diverse as stem cell research and fighting methamphetamine use.